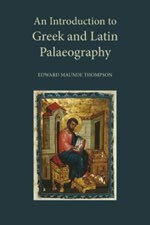 This profusely-illustrated (250 reproductions) work traces the history of the writing in the Greek and Latin alphabets from the earliest times to the seventeenth century. All the sample texts, in Greek, Latin and vernacular languages, are provided with transcriptions. In this revised edition, we have digitally enhanced the original illustrations wherever possible, and the text has been reset for greater readability. Please note that the critical reviews on amazon.com refer to an edition from another publisher which has not been reset. 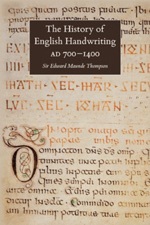 Thompson’s History of English Handwriting charts the development of the distinctive, and often very beautiful, English scripts, beginning with the introduction of half uncials by Irish monks in the seventh century. Although manuscripts from Rome and elsewhere on the Continent influenced English handwriting, it displayed unique characteristics which even the Norman Conquest did not completely obliterate. The basis of this book is a paper delivered to the Bibliographical Society in 1899 and printed in the Society’s Transactions the following year. It has been revised by Gerrish Gray who has taken the opportunity to increase the number of illustrations from eighteen to forty-eight. Transcriptions have been added to eight of these, making the book a useful introduction to English palaeography. Sources of illustrations include Bibles, psalters, chronicles, charters and literary manuscripts. Sir Edward Maunde Thompson (1840–1929) was educated at Rugby and University College, Oxford. Lack of money forced him to leave the University without taking a degree, and in 1861 he found employment at the British Museum as assistant to Sir Anthony Panizzi, the Principal Librarian. He transferred to the Department of Manuscripts in 1862, being made Assistant Keeper in 1871. He was made Keeper of Manuscripts in 1878 and Principal Librarian in 1888. His highly-regarded Introduction to Greek and Latin Palaeography was first published in 1893 and revised in 1912.